Hypertrophic cardiomyopathy occurs because of a thickening of the heart muscle which shrinks the blood's path through the heart, forcing the heart to work harder while pumping blood. It is often associated with sudden death in athletes and generally doesn't show symptoms prior to an episode. 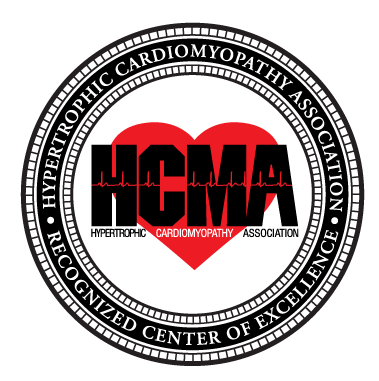 The Hypertrophic Cardiomyopathy Program at the University of Maryland Heart & Vascular Center was recognized as the Center of Excellence by the Hypertrophic Cardiomyopathy Association (HCMA) – one of about 30 Centers of Excellence nationwide and the only HCMA-recognized center in Maryland. Our team of cardiologists, cardiac surgeons, geneticists, electrophysiologists, nutritionists and physical therapists are ready to treat you and guide you towards healthy lifestyle choices as you learn to live with this disease. We are currently seeing patients in Baltimore, Columbia, Owings Mills and Westminster. View our list of Heart and Vascular Center locations here.